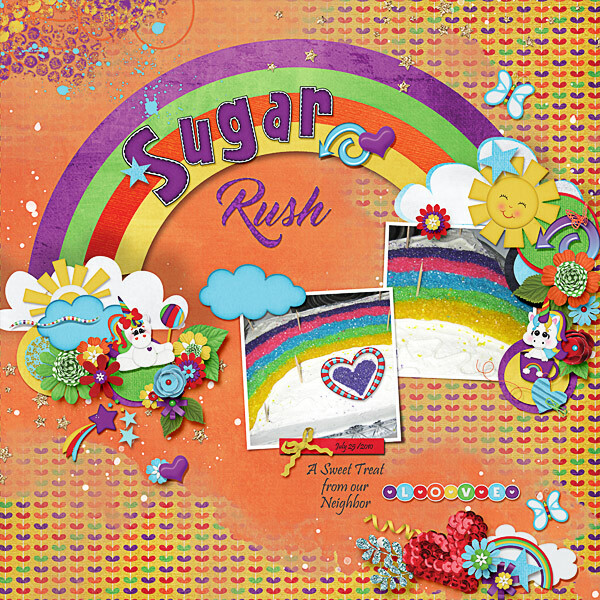 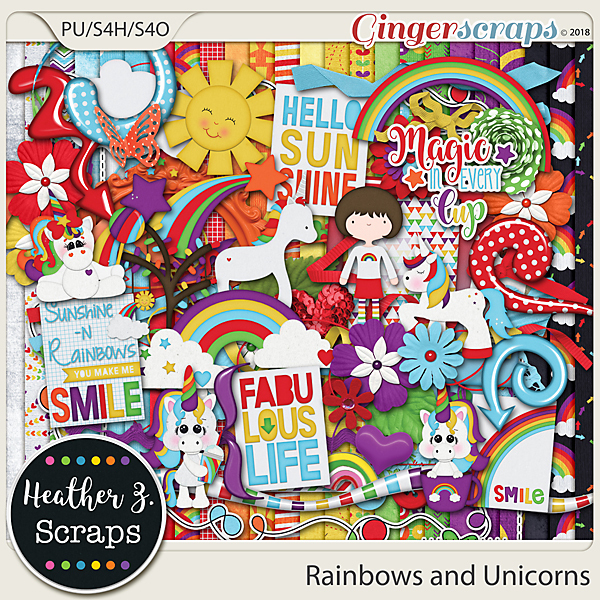 Rainbows is the theme of today’s layout, kit, and template…..
First, off, Heartstrings Scrap Art has a new single release template called One-derful 17 with a rainbow, mask, and 2 photo place holders to scrap those sunny days, happy moments, or joy in your life. 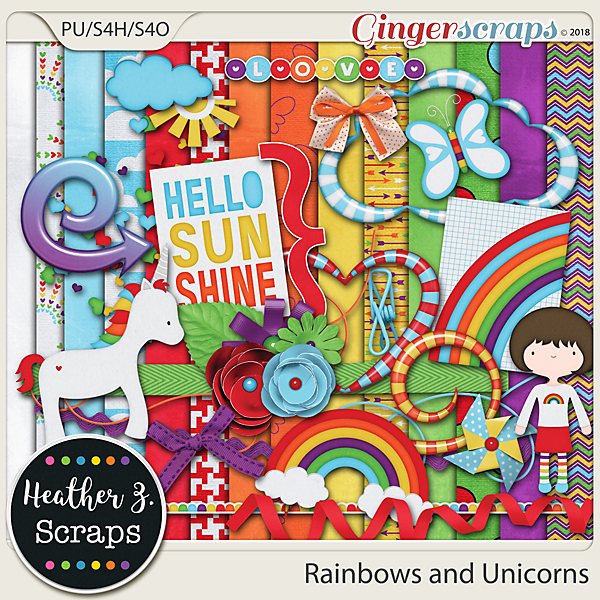 I used a bright and fun kit by Heather Z Scraps with this template. It is a rainbows and Unicorn themed kit that is free this month as part of the daily download on the GingerScraps Blog. She is the designer that is being spotlighted this month at GS. Just drop by the blog each day to collect a piece for FREE!